And see the calendar of upcoming RRRC races and events! Congratulations to all of RVA's Finishers. Click here to see the list. Top RVA honors go to Teal Burrell (bib F43 - the women's elite field). She finished in 2:44:45...the 48th woman finisher. 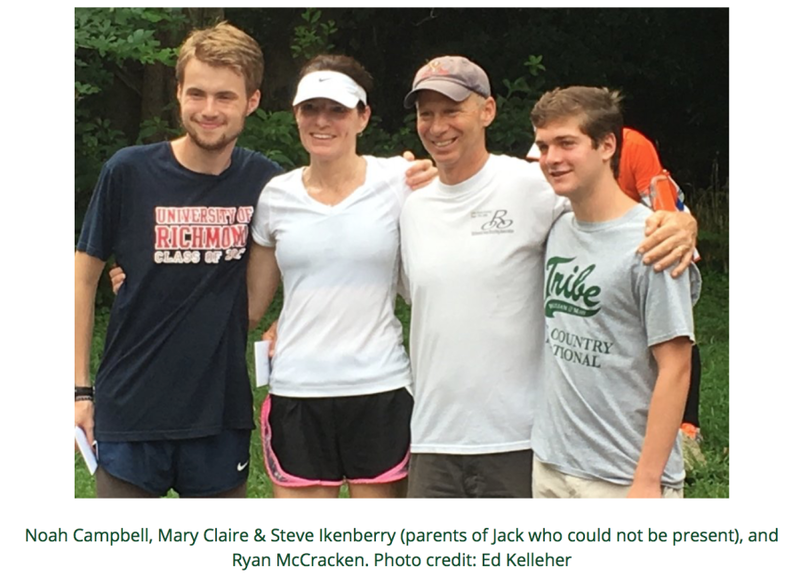 This year, RRRC will award up to three (3) $2,000 college scholarships to students who have and will contribute to the running community and represent the beneficial aspects of running as a healthy lifestyle. All applications and documentation must be received on or before midnight, May 31, 2019. 3. Involved in running in some capacity (e.g., as a cross-country or track team member, as a team manager or trainer, as a member of a running or track club, or volunteer in a running activity). For more details and the application form, visit our College Scholarship page. 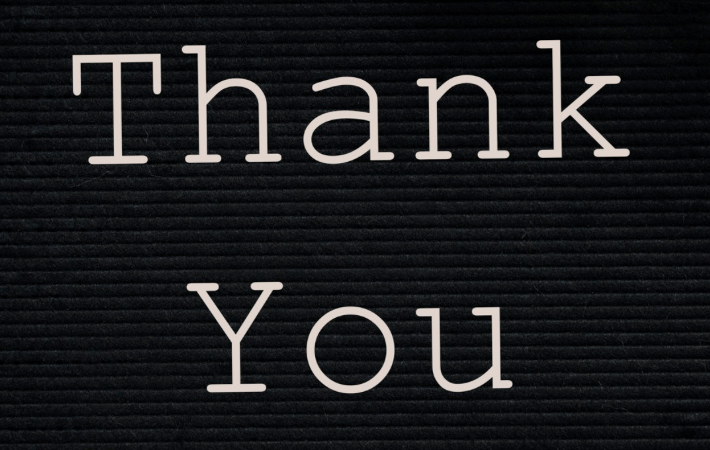 April 15, 2019 - Congratulations to the 18 volunteers who were selected at random to receive a gift certificate as a small token of RRRC’s thanks for their volunteer service to the club during the 1st quarter of 2019. To be eligible for the drawing, a volunteer had to sign up to volunteer in advance (at least 24 hours before the start of the main race) via RunSignUp for one or more of the club races (First Day 5K, Frostbite 15K, Sweetheart 8K or Huguenot 3 Miler). 187 volunteers earned a total of 506 entries in the drawing. Some obviously improved their odds of being selected by having multiple entries, because they: volunteered at more than one race; signed up early to volunteer (by midnight of the fifth day before the race); and/or volunteered for certain positions that earned them extra entries (e.g., course marshal or truck assistant). 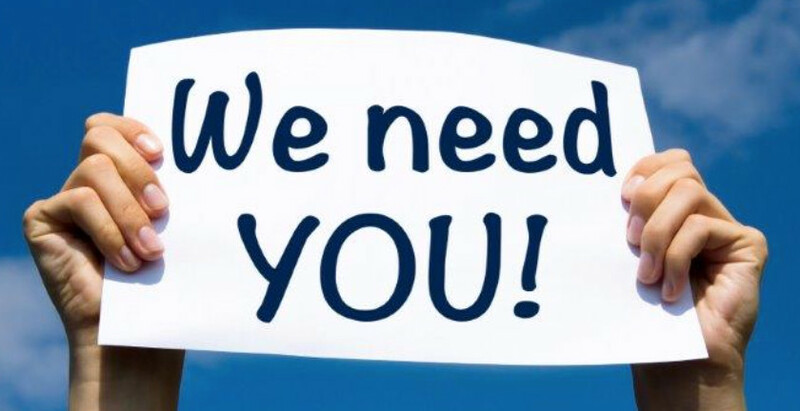 Volunteer at one of the three club races during the 2nd quarter (Carytown 10K, Stratford Hills 10K or Thanks Dad 5K) to be eligible for the next drawing. Click here for more details about the Volunteer Rewards Program. Does RRRC have a Race Team? Yes, we do. It is brand spanking new for 2019. 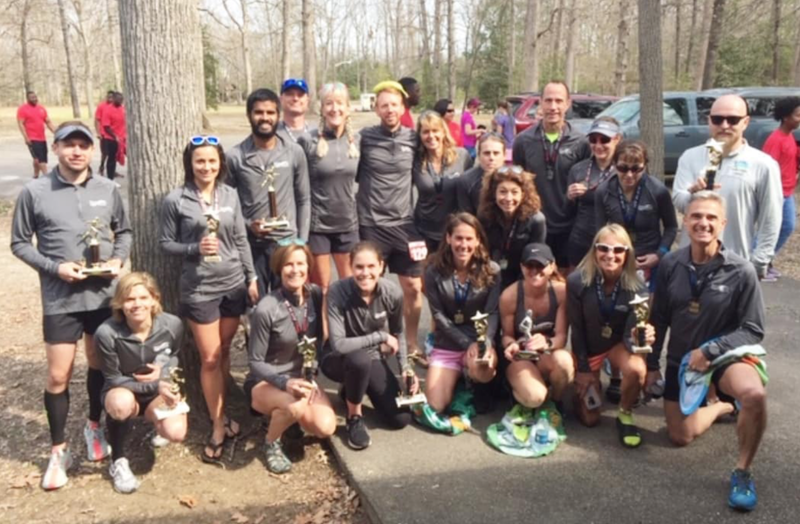 The RRRC Race Team just ran the first race in a challenge series with race teams from Tri Cities Road Runners and Fredericksburg Area Running Club. And guess which team took five of their six divisions at the Tri Cities Road Runners Longstreet's White Bank Classic 5 Miler? If you guessed, RRRC Race Team...you are RIGHT. Check out these very impressive results! Special thanks to the RRRC Race Team organizers and coaches, Rosie Schutte and Bill Kelly. April 16, 2019 - Road Runners Club of America recently published guidance on what is required of its affiliate clubs (e.g., RRRC) to be in compliance with the “Safe Sport Act" (Protecting Young Victims from Sexual Abuse and Safe Sport Authorization Act of 2017), which was enacted by Congress and became federal law on February 14, 2018. To ensure the Club’s compliance with the Safe Sport Act, the RRRC Board of Directors adopted a Safe Sport Act Compliance Policy and a revision to the Club’s Code of Conduct at its April 10, 2019 meeting. If you have any questions about the new policy and the change to the Code of Conduct, please contact the RRRC President, Ralph Gibbs, at president@rrrc.org. * Online sign-up is closed, but you can still show up and volunteer. Please make sure to sign the volunteer check-in sheet! Head to picturesque St. Michaels, Maryland on Saturday, May 18, 2019 to run the "flattest, fastest 13.1 in the Mid Atlantic." Recognized as one of the TOP 100 HALF MARATHONS IN THE USA, the beautiful USATF-certified course is built to help you reach a new PR. The Festival also offers a 5K run/walk and a 1K kids fun run. For more information, visit the St. Michaels Running Festival website. SIGN UP HERE. Use code AMBROSIE for a $10.00 discount at checkout. 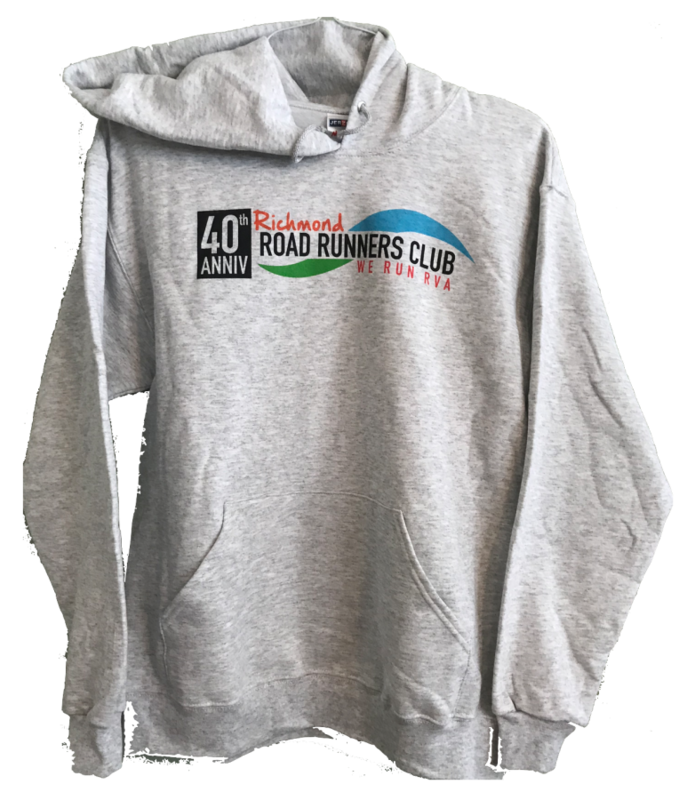 Get a hooded sweatshirt with new RRRC artwork celebrating RRRC's 40th Anniversary! These cotton/poly hooded pullover sweatshirts are for sale online on the RRRC Store for $20.00 + tax. We also have technical race shirts and tanks, visors, car seat covers and Polar Bottles®. Races without at coupon code listed will check your club membership during the race registration process. 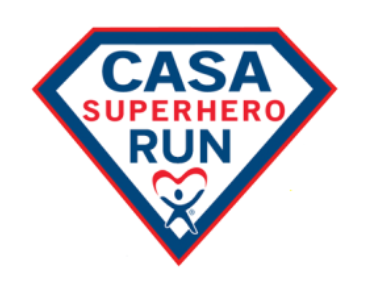 2019 CASA Superhero Run 5K and Kids' Run (May 4) at St. Joseph's Villa supports the Court Appointed Special Advocates program to help make a difference in the lives of abused and neglected children. 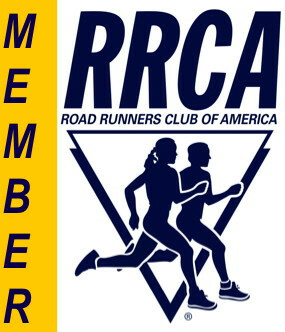 RRRC members are eligible for a $5 or $2 discount on race registration. For more information and to register, CLICK HERE. NOTE NEW FALL DATES! The Colonial Relays -- Colonial /200 (Charlottesville to Williamsburg, September 13-14) and Colonial /70 (Hanover to Williamsburg, September 14) -- offer relay running fun through the Virginia countryside for teams of 4-12 runners. RRRC Runners -- Use codes CR200_2019_RRR or CR70_2019_RRR for a 25% discount on team registration for the Colonial Relays. To learn more about the relays and to register CLICK HERE.